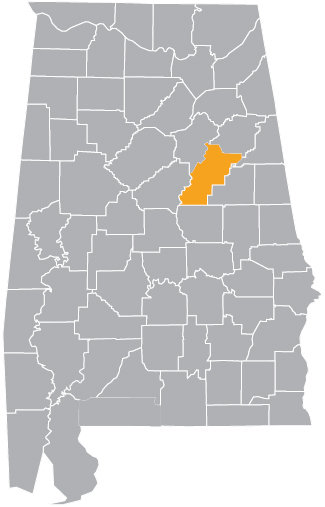 Talladega County’s unemployment rate is higher than the state average, but has dropped significantly in the last year. Workforce will be hired from local community. For more than a century, Pursell has been a leader in the fertilizer industry, known for developing innovative controlled release fertilizer technologies and micronutrient delivery systems. 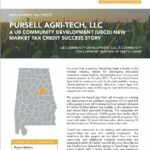 In October 2017, Pursell launched Pursell Agri-Tech to continue to add to its plant nutrition legacy. Headquartered in Sylacauga, Alabama, Pursell Agri-Tech has developed a new technology to coat fertilizers at very competitive cost levels. The project for Pursell Agri-Tech will renovate an existing site and construct an additional expansion. Of the total $15 million project cost, UB Community Development allocated $7 million of New Market Tax Credits to the development and United Bank provided financing. The expansion will include an approximately 10,000 square foot facility which will include manufacturing, industrial and office spaces. The project will retain 50 direct full-time jobs, while creating 10 new direct jobs and 18 temporary construction jobs.